The east portal of the Queen Creek Tunnel on US60 just east of Superior, Arizona. 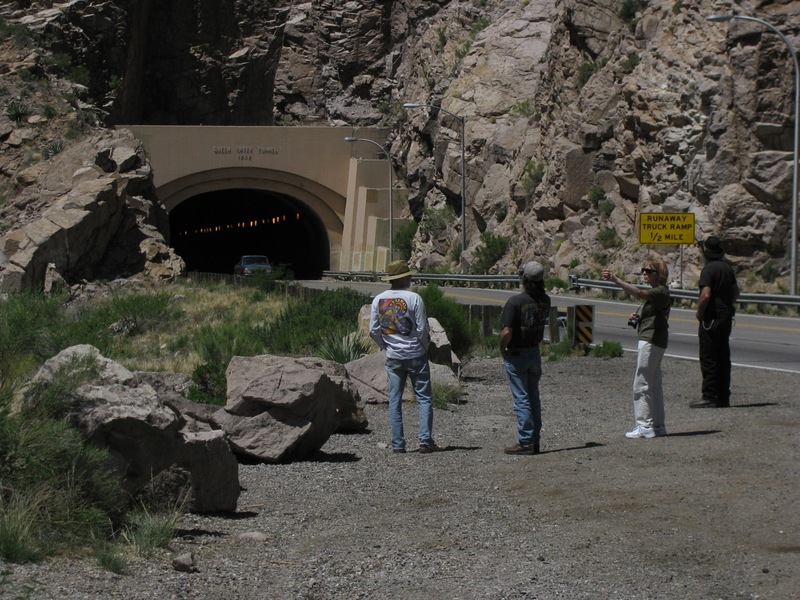 This tunnel was a part of the rework of US60 in the 1952. Old portions of the original US60 from the 1920s are still visible and we’re about to investigate part of that old route. From left to right, that’s Randy, Jeff, Red, and Redbeard.